Franklin Matters: FPAC Announces "You Can’t Take it With You Cast"
The Franklin Performing Arts Company (FPAC) has announced casting for their upcoming production of the classic comedy You Can’t Take it With You. The cast will feature Equity actor Andrew Scott Holmes as Ed Carmichael. Holmes starred in FPAC’s production of Joseph and the Amazing Technicolor Dreamcoat last season. He has traveled the world working in regional theatre and cruise ships alike. 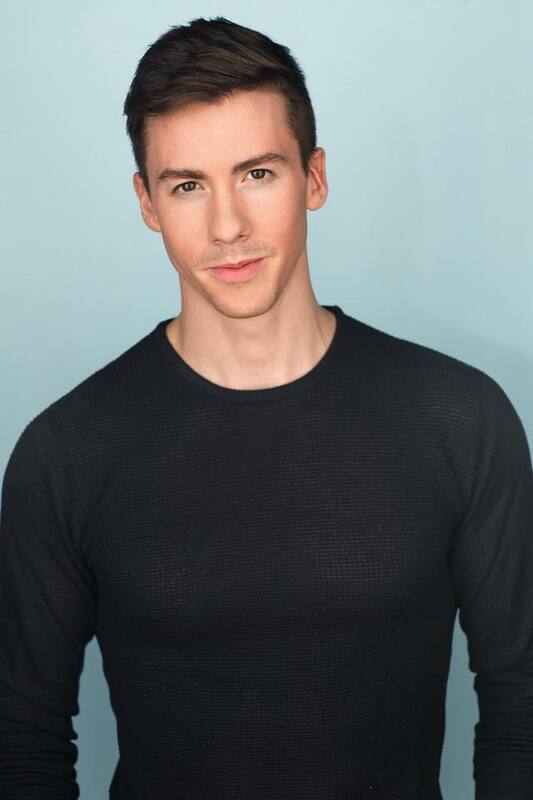 From Goodspeed Opera House to Great Lakes Theater to Playhouse Square and beyond, Andrew has had the privilege of Playing leading roles as well as understudying Broadway stars. Amanda Dubois appears opposite Holmes as Essie Carmichael. Dubois’s theater credits include Godspell, Dirty Rotten Scoundrels, The Best Little Whorehouse in Texas, and It’s All Your Parents’ Fault! Former Equity actor Nick Paone will appear as Paul Sycamore. Paone has been on the drama faculty at the Franklin School for the Performing Arts (FSPA) and an actor and director at FPAC since 2001. Kellie Stamp will play his wife, Penelope Sycamore. Stamp is a graduate of Stonehill College where she was an active member of the Stonehill Theater Company; she is the Dance Department Coordinator at FSPA. Susauna Wickstrom and Liam Devine will play Alice Sycamore and Tony Kirby respectively. Both Wickstrom and Devine were recently featured in FPAC’s sold out run of Disney’s Newsies. The cast also includes Wendy Jones (DePinna), Shauna Martin (Kolenkhov), Christine DiMartino (Miriam Kirby) Ed Jones (Wilbur Henderson), Erin Lynch (Wellington), Mireille Eastman (Grand Duchess Olga Katrina), Lindsey Wyner (Reba), and Collin Hancock (Donald) of Franklin, Michael Baratta (Mr. Anthony Kirby) of Hopkinton, and Bob Matson (Martin Vanderhof) of Millis. The Franklin Performing Arts Company presents You Can't Take It with You January 25-27 at THE BLACK BOX in Franklin, MA. You Can't Take It With You is a classic comedy about a family living “to the beat of a different drum”. Set in the summer of 1938 in New York City, the play introduces audiences to the freethinking Sycamore family and the mishaps and mayhem that ensue when their daughter's fiancé brings his conservative, straight-laced parents to dinner on the wrong night. You Can’t Take It with You won the 1937 Pulitzer Prize for Drama, and the screen adaptation won the Academy Award for Best Picture and Best Director.